A new startup company focused on software and professional services to improve community health outcomes just selected Newark as its headquarters. SRL Group, LLC, founded by two veterans of healthcare marketing, joined New Jersey Institute of Technology’s (NJIT) Enterprise Development Center (EDC) incubator at 211 Warren Street. SRL Group is developing proprietary software to focus on the emerging field of referral marketing and online reputation management. In addition, according to Brooks, three out of four patients that get a provider referral from a friend or family member will search online first to check out a doctor’s online reputation. Unfortunately, missing information or bad reviews can deter a patient from seeking care. A platform to generate more online reviews from existing patients. Premium listings on top healthcare websites. Concierge service to publish a single, consistent digital CV on the top health care and local business directory websites. Fast, mobile-friendly websites that contain authoritative patient education materials on 8,000 medical conditions and treatments. Software to track phone calls from marketing channels and match them to new patients. In first quarter 2019, the company will introduce a proprietary software platform to encourage patients to make referrals to friends and family members. Jose is a leader in online marketing for physicians, specializing in digital and social media marketing, video and sales training. He has applied his sales skills to innovative health care companies including PatientPlus, where he worked as director of sales, and HealthPlatforms, Inc., where he started as a top-performing sales rep before building out strategic sales channels to amplify company revenue. Prior to entering online marketing, Jose was a private banker, then vice president/ private client advisor, with JPMorgan, Chase Bank N.A. Jose earned a B.S. degree with New Jersey Institute of Technology (NJIT). He is a mentor with America Needs You (ANY), a national 501(c)(3) nonprofit organization that fights for the economic mobility of ambitious, first-generation college students by providing transformative mentorship and intensive career development. David has extensive experience in health care marketing companies. He is a co-founder of HealthPlatforms, Inc., a web-based marketing services company that operates Doctor.com, and co-founder of PracticeBrain, Inc., a SaaS company that provided appointment reminder and office calendaring for medical practices. Prior to establishing his own SEO and marketing consulting firm (SPS Group, Inc.), David was director, investor relations and corporate communications for Intermec (NYSE:IN), a $2B industrial technology company, and manager, global marketing communications, for Warner-Lambert Company. David has a B.A. (Rhetoric & Communications) from New York State University (Albany), and an MBA from The Marshall Graduate School of Business at the University of Southern California. 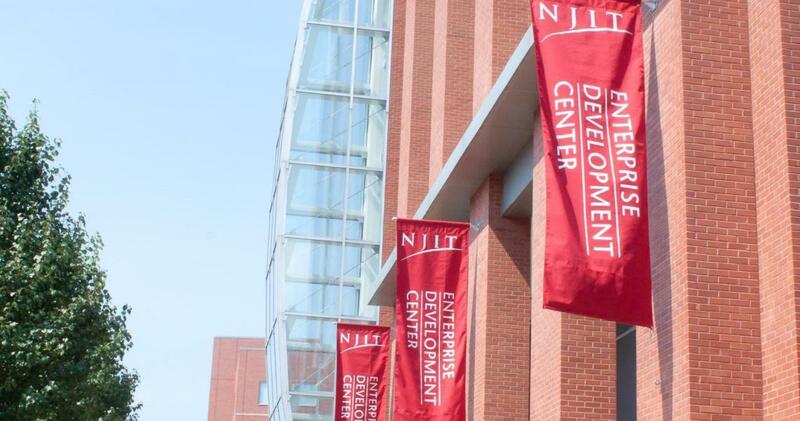 The Enterprise Development Center (EDC), located on the campus of New Jersey Institute of Technology (NJIT), is a cooperative and resourceful ecosystem for startups and small businesses. From finding the right working space and attracting investment capital, to building staff and developing effective business plans and marketing strategies, the EDC supports companies as they work to become profitable businesses and dynamic participants in the economic life of New Jersey and the nation. The EDC is located in Newark’s Urban Enterprise Zone (UEZ) and Historically Underutilized Business Zone (HUBZone). The EDC is also a partner of the New Jersey Innovation Institute (NJII), an NJIT corporation that applies the entrepreneurial and technical resources of the state’s science and technology university to challenges identified by industry cluster partners.